Although modern buildings are common in Turkey, the ancient buildings actually draw our attention more. While stone houses have functional limitations, the aesthetic appeal of old stone structures draws many tourists to these historical areas. Visitors see all kinds of stone buildings throughout Turkey, but particularly in the Eastern half of the country. There are, though, stone buildings in other areas, such as Mersin, before one reaches further East to Urfa. Besides stone homes, there stand many historical stone statues, which make up a big part of Turkey’s archeological history. Traditional stone houses as seen in Mardin, Mersin, and Urfa, manage to maintain their form against the test of time, and that is part of their charm. People have built their house out of stone since the dawn of time; unfortunately, such stone-built homes are more and rare in the urban centers. Stone houses actually do pose many health benefits: for one, they help to filter out air pollution inside the structure. Cave-house rocks, Üçhisar, Cappadocia, Turkey. Let’s get right to a closer examination of these beautiful structures which grace the fascinating landscapes of Turkey. I will describe some of the most striking stone buildings and statues in Mardin, in Cappadocia, and in Nemrut, all of which boast distinctive yellow hues on their exterior. Don’t forget to touch the stones when you visit these places: some say you can feel the power and energy of real life experiences, absorbed over the centuries and still resonating today. Night lights of the Mardin City, Turkey. Anatolian home architecture is similar to that of Northern Syria. Although we can see this resemblance much more at Middle Anatolian cities of Niğde and Kayseri, Mardin is one of the most interesting settlements of Southeastern Anatolia, featuring some unique designs and structures. It remains an important city as host for these specific types of stone buildings. 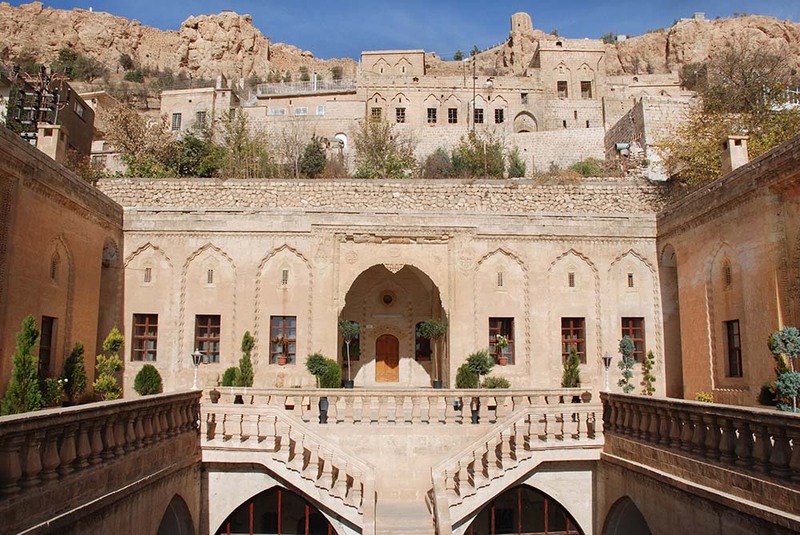 Mardin is famous for its traditional houses that are decorated with various folk motifs. The basic construction material is an easy to work with yellow limestone. Yellow limestone is extracted from many mines in the region, and it naturally dominates construction trade in the region. Yellow limestone is actually easier to cut and manipulate than most other stones, making it very practical—and very popular throughout the area—for building. Over time, limestone becomes harder. A historical building in Mardin. Visitors note how saturated the area is with yellow limestone; it is used for everything except the mandatory wooden door and windows and the mezzanine. 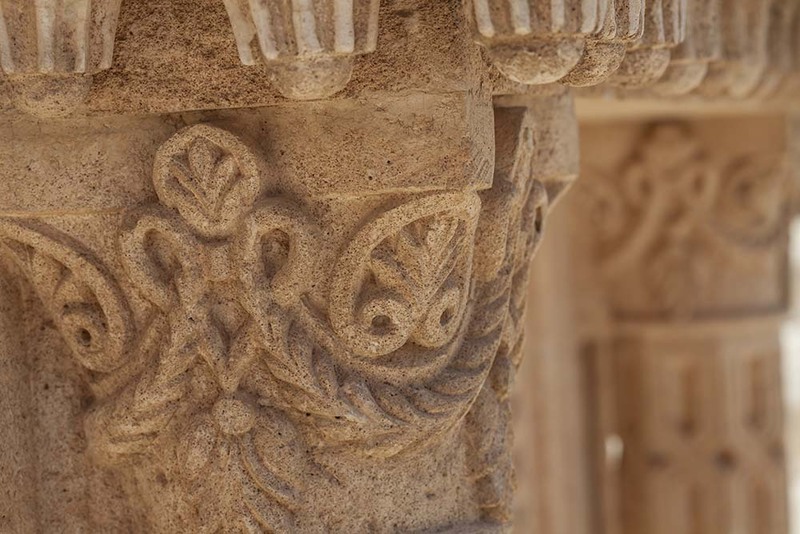 Thus, it is used for every structure from stone ornamentation to load-bearing systems. However, the architectural style of this old city is Italian-like, with many stone-based structures (materials that were a result of ancient volcanic activity). 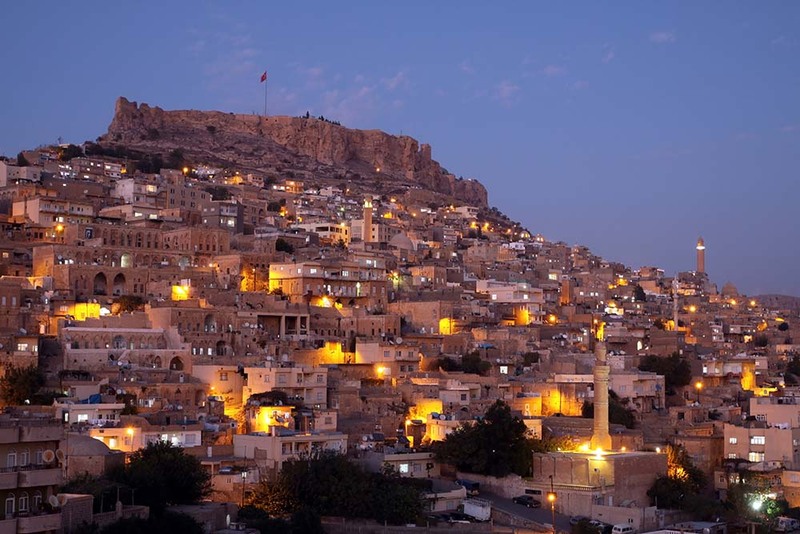 Houses in Mardin reflect all the features of a closed-in life style, surrounded by walls that are 4 meters high that isolate them somewhat from the street. These walls also provide protection from harsh climatic conditions. This unique architectural structure’s historical tradition continues even today. Houses have separate sections for men and women and they have practically no kitchen space. The most important feature of these houses is the stone craftsmanship known as “Midyat Work”. 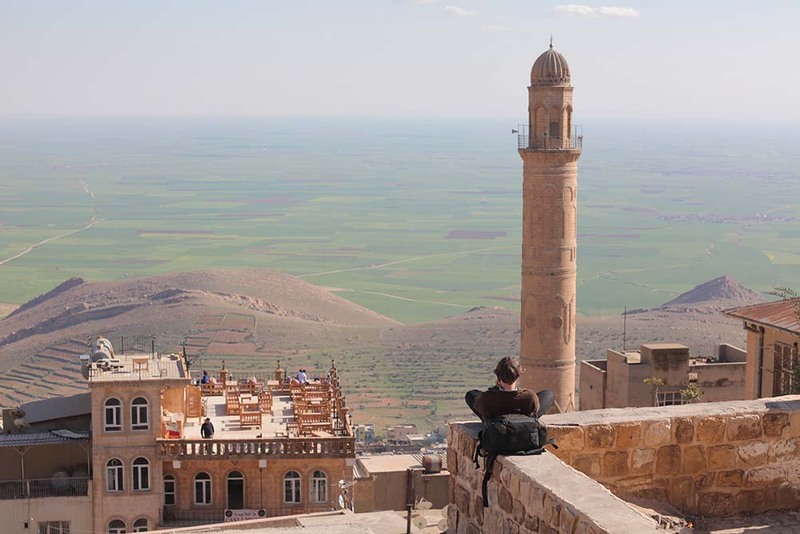 The Old City of Mardin was declared a protected area in 1979. Toppled heads of the gods on East terrace at the top of Nemrut dagi in Turkey. The UNESCO World Heritage Site at Mount Nemrut where King Antiochus is reputedly entombed. Mount Nemrut was declared a world heritage site by UNESCO in 1987. The upper slopes feature giant busts of many Greek and Persian gods alongside a monument of King Antiochus Theos of Kommage, which was crafted in 62 BC. Many historical artifacts were in fact retrieved during excavations, pulled from underground during archaeological digs. The head of the statue remained buried underground for years because of the destruction of other civilizations and natural phenomena occurring over time. Although today the head of the sculptures are somewhat worn down, many visitors hike up the mountain to see them and to take photos. 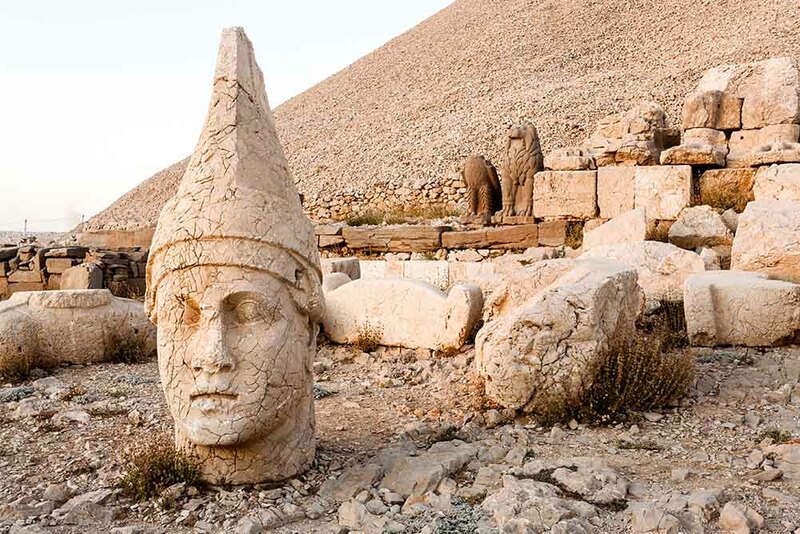 No doubt, Adıyaman‘s most important region is Mount Nemrut, which some have called the Eighth Wonder of the World. Here we get a glimpse into the Komagene civilization, a powerful kingdom mixing Persian and Greek civilizations’ beliefs and cultural traditions situated on top of Mount Nemrut. This historical place has welcomed and played host to visitors for centuries. Deyrulzafaran Monastery, Mardin is a historical city in Southeastern Anatolia, Turkey. Tourists can take a dolmuş (shared taxi) from Adıyaman and Kahta County to Month Nemrut and the other historical places. After passing through the long, deserted and crooked paths, you will arrive to the National Park entrance. Then, you can complete the 30-minute hike up the mountain on foot. It might be exhausting but it’s definitely worth it! In addition, don’t forget to buy an admission ticket for a visit to the National Park. If you take the East side to Mount Nemrut, huge statues and the ancient burial ground of Antiochus welcome you. The names of Kommage Kingdom from left to right are King I. Antiochus, Kommagene Goddess Fortuna Thyce, God Zeus (Oromasdes), God Apollo (Mithras-Helios-Hermes), and Heracles (Artagnes-Ares-Hercules). There are two statues of lions and eagles on the sides. Abbaras (the corridors under the houses, connecting streets) seen as people passing by. Vallaey of Kiziltepe seen as well. Visitors come from all over the globe to see Mount Nemrut for themselves. Sunrise and sunset from here are both fabulous sights; the best timing means being there at either 4 a.m. or 5 p.m. Plan accordingly! Camping on the mountain is not allowed, unfortunately. You must join a tour to visit here. What you can do is hunker down in a blanket and wait for the sun to rise, which is a tradition of those who visit Nemrut Mountain. There are two kinds of tours available: Sunset and Sunrise. And don’t forget: most visitors greet to the sunrise with a wine in hand. Cappadocia lies in central Anatolia and consists of the volcanic lava formations Mount Erciyes, Hasandağ, and Güllüdağ. The soft layers have been eroded by rain and wind over millions of years, giving rise to the unique and striking geological features of Cappadocia. Known as Hatti in the late Bronze Age, Cappadocia was the homeland of the Hittites, who built their capital city at Hattusa. In later years, this area was one of the most important centers of early Christianity. The rock formations have been meticulously carved out to create houses and churches. And these rock houses acted as a sanctuary to help protect Christians from Roman persecution. The Cappadocia region stretches out to Kırşehir, Nevşehir, Niğde, Aksaray, and Kayseri. Human settlements in Cappadocia go all the way back to the Paleolithic period, but Cappadocia’s main habitation began with the Hittites. Cappadocia was a hub for the Silk Road, hosting many trading sites and colonies and caravanserais (which are basically roadside inns that host weary travelers). 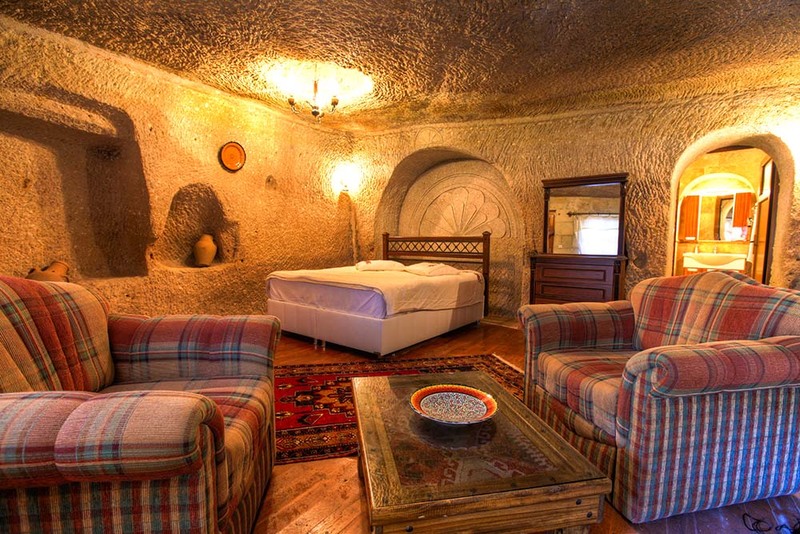 he best historic mansions and cave houses for tourist stays are in Urgup, Goreme, Guzelyurt and Üçhisar. 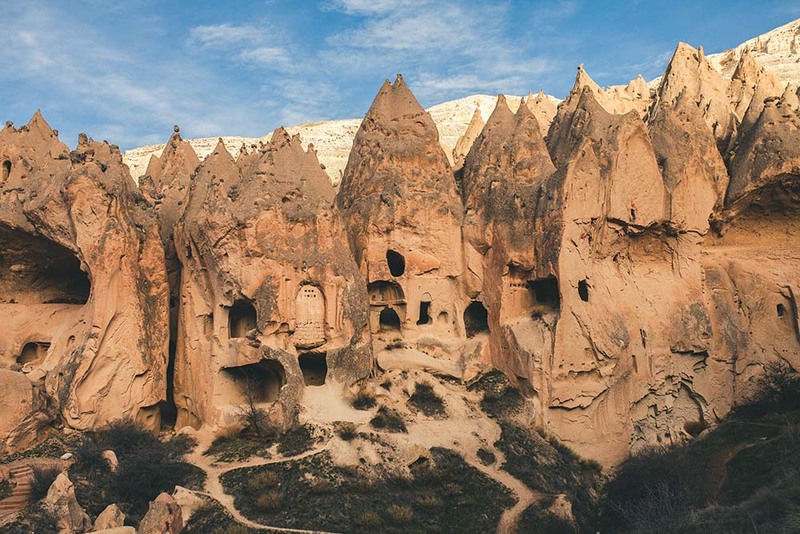 The most iconic natural structures of Cappadocia are the “fairy chimneys” made out of hard basalt rock and somewhat resembling cone-shaped hats. This Cappadocia area has proven to be a hugely popular tourist attraction, visited by people from all four corners of the earth. Volcanic rock is the only architectural material in this region. After being handled, this rock becomes harder, morphing into a cast-iron like building material. Indigenous stonemasonry developed thanks to its easy workability, and now of course is a venerable tradition. But both the courtyard and the doors are always made of wood materials instead. This region is also famous for its grape growing and winemaking. Göreme National Park is also in Nevşehir. 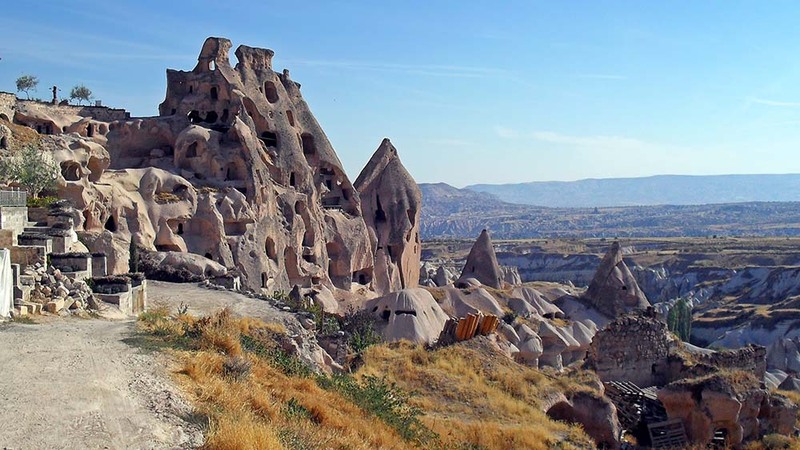 Located in the Nevşehir, Göreme, it’s far from the main roads and the terrain is rough. Due to this, Göreme was the place for anyone who wanted to hide out in self-defense, or for those seeking religious seclusion. Here, monasticism began at end of the third century and the first of the fourth, and it spread rapidly. Caves were used for monasteries, churches, chapels, dining halls, monk cells, storage, and wine-making areas and all are extensively decorated with frescos, most of which are still visible. In addition the settlements in Göreme such, such as Ürgüp, Avcılar, Üçhisar, Çavuşini, and Yeni Zelve offer examples for Göreme’s historical agricultural and village life. 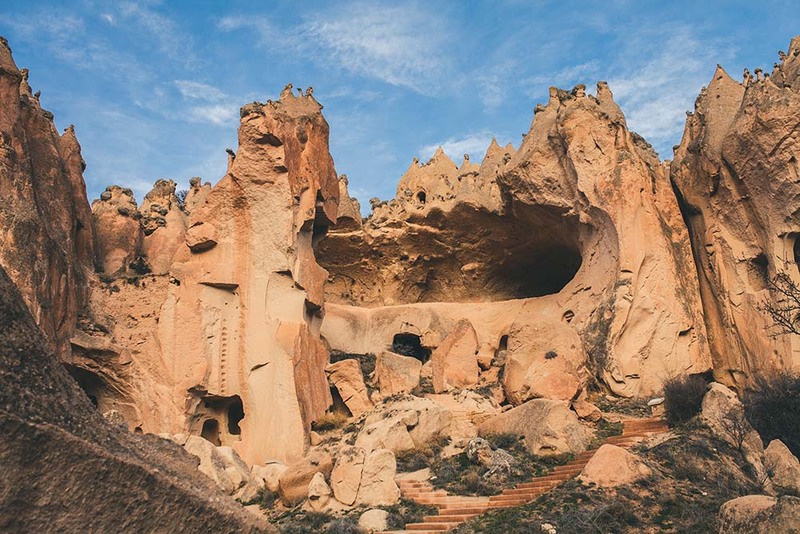 Göreme National Park and the Rock Sites of Cappadocia have been listed on the World Heritage List since 6 December 1985.The long and the short of it, taking the yellow route is definitely suggested. Due to a very low population density, rural environment, the wide distance between sites, and limited public transportation, one should consider either renting a car or taking a guided tour. To take the route from Mardin – Adıyaman – Nevşehir or Nevşehir – Adıyaman – Mardin will immerse you in a vast sweep of historic textures, and at the same time, welcome you to unforgettable landscapes and geography.